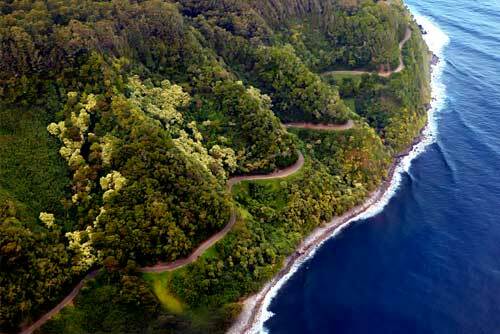 Bike Route: 5-mile descent over paved, jungle road. Round Top Drive. 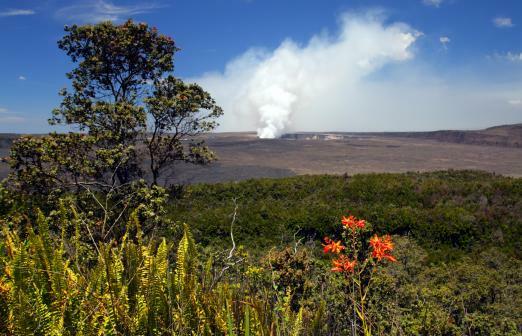 Tour Description: From Waikiki, our professional nature guide will shuttle you by van to a tropical rain forest high above Honolulu. 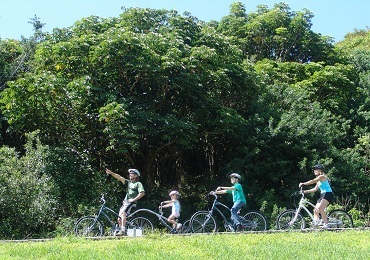 You'll be shuttled to the top of Pu'u 'Ohia (Tantalus) where you'll be outfitted with a KHS cruiser bike and Bell helmet and given safety instructions before descending the 5-mile paved jungle road. 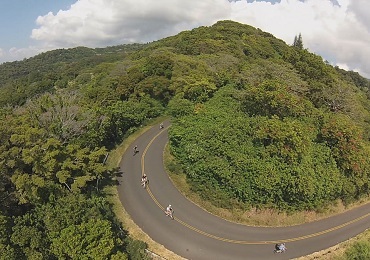 You'll stop half-way down at Manoa lookout for pictures, narrative and a delicious deli-style lunch (turkey, ham, roast beef or veggie sandwich, chips, cookies and cold beverages). Once you reach the grassy park at the bottom, you'll then return to Waikiki by van. NOTE: Riders must be minimum 4'0" tall to ride the bike. Tag-a-long trailer riders must be a minimum 3'5" and able to demonstrate ability. Please wear closed toe shoes suitable for biking. Ask for rider height when making reservations. Do so by 5:00 pm the day prior to the tour. 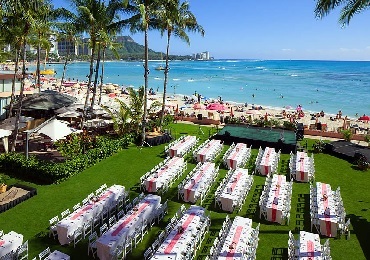 Last minute reservations need to call 808-478-3015 for availability. 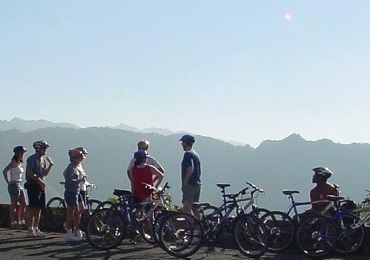 Cancellations must be made within 24 hours prior to the tour or a 50% fee will be charged. No Shows/No Refund.